We are a prominent Manufacturer, Supplier, Exporter and Importer of Ferro Vanadium. Our Ferro Vanadium is made up of vanadium, silicon, aluminum, phosphorous and carbon. Our Ferro Vanadium finds its usage as an alloying agent for iron, steel and aerospace. 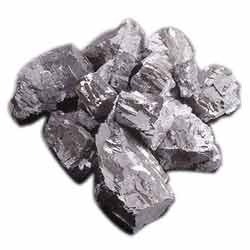 The Ferro Vanadium offered by is highly demanded in various industries and appreciated by many clients. Ferro Vanadium offered finds usage as popular alloy and as universal strengthener for all grades of steel and provides special suitability for high-strength structural steel as well as tool steel. It is also used as a main component in production of carbon steel used for infrastructure purposes and is also added to crude steel for creating product that is lightweight as well as bears high tensile strength & wear resistance.